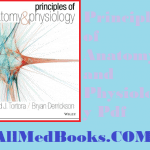 Anatomy and physiology are the two every basic subjects for medical students. The reason is that, all other subjects that are though to higher level students depends on these two subjects. Therefore, to learn all the subjects first you would have to study human anatomy and human physiology. These two subjects are not that hard if you use the right way to study them. Like using those books that you understand easily and using atlases and videos etc. 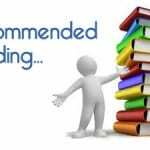 So, here in this post i am going to list all the recommended anatomy and physiology books so that you can easily choose the one that is best for you. 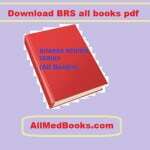 Find all the recommended medical books. There are many books of human anatomy. 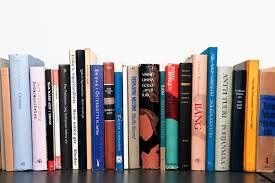 But few of them are widely used and here i am going to list all of these popular books. You can also download them for free in pdf format and read them so that you can easily select one for study without having to buy it. Clinical anatomy by Richard S Snell, is one of the best book of human anatomy which is not only for human anatomy but also have a portion of clinical anatomy. This book is the best book for brief and to the point study of clinical anatomy. You can also use it for revision for exams because it would not take too much of you time to read the complete book as compared to other detailed books. You can read about snell anatomy pdf here. This is another famous book of human clinical anatomy. You can use this book for detailed anatomy study. Unlike snell, this book is much detailed and easy to understand. It has beautiful diagrams and comparison tables that makes it easy to learn all the muscles, nerves and vessels etc. You can download gray’s clinical anatomy pdf here. This is one of the most famous book of human anatomy which describes each and every structure in detail with clinical points. Like gray’s anatomy, this book also have labeled diagrams and comparison boxes etc and both of these books are the best for detailed study of human anatomy. You can download clinically oriented anatomy by Kieth L Moore here. For clinical neuroanatomy, snell neuroanatomy is believed to be the best book. You can read more about it here. Netter atlas of human anatomy is the best selling atlas of anatomy. It is used by majority of students and its reason is that all the diagrams are made by hand but still they are so clear and easy to understands that they are far better then printed diagrams. You can find its various diagrams here. If you are an anatomy student, then you must be looking for embryology book as well. According to my experience, i have found langman embryology to be the best book of human clinical embryology. You can download it for free here. 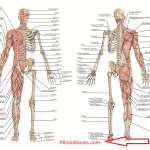 You can find a complete list of recommended anatomy books here. 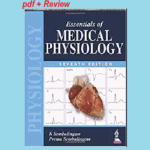 According to my experience and knowledge, the best selling and widely used book of human physiology is Guyton medical physiology. You can read about it in detail from the link above. 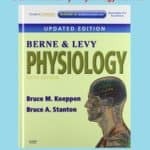 This is my list of recommended anatomy and physiology books. Ifyou have any suggestion or want us to upload some specific books, then you the comment form below. Hello Dr Khan, hope you are doing well.I needed review of Physiology by UN panda, could you have it? if yes, could you email it to me? I would be very grateful if you could. My email address is [email protected]. Looking forward to hearing from you soon. don’t have it at the moment. But would search for it. Keep up the good work doc. Could u pls upload Norman Browse and Stedman Medical Dictionary to the site or send the download link to my website? i would upload to site. Graduated from college of pharmacy.